Be Enchanted in Orlando, July 20th! 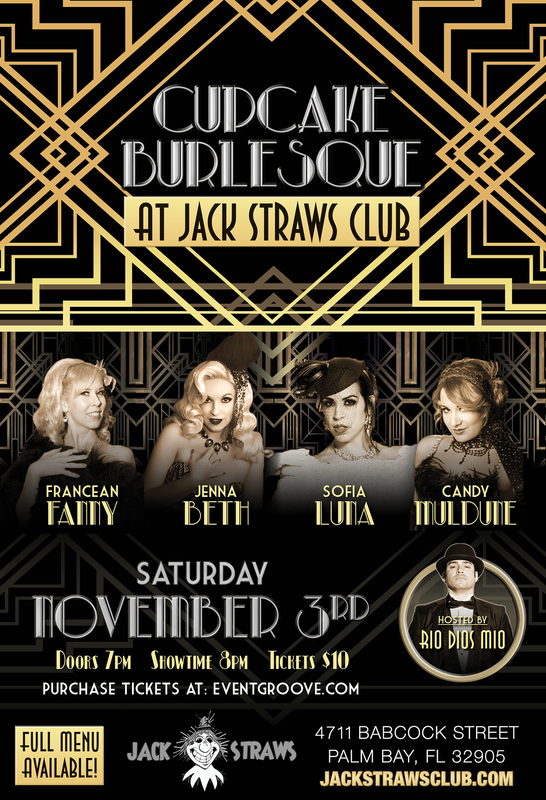 Join Cupcake Burlesque on a whirlwind adventure, as we pay tribute to Fantasy storytelling in television & film. Hold tight as we transport you back in time to experience the magically enticing tales of your youth in a whole new light… Then brace yourself as we plunge into the epic sagas of today, with a series of intoxicating vignettes that will leave you breathless. Escape with us to an evening of myth and wonder, where your dreams become reality live on stage! We highly recommend that you pick up your discount pre-sale tickets today, as our shows in Orlando almost always sell out! Diznee Undressed 2: Wicked Wishes – Orlando 1/19! Cupcake Burlesque returns with their crowd-favorite Diznee Undressed show, but this time things are taking a turn towards the sinister side… Watch as your favorite fairytale VILLAINS bring your darkest fantasies to life in Diznee Undressed 2: Wicked Wishes! Our last 7 shows at The Venue here in Orlando have SOLD OUT, so don’t wait, you won’t want to miss these all-new performances! 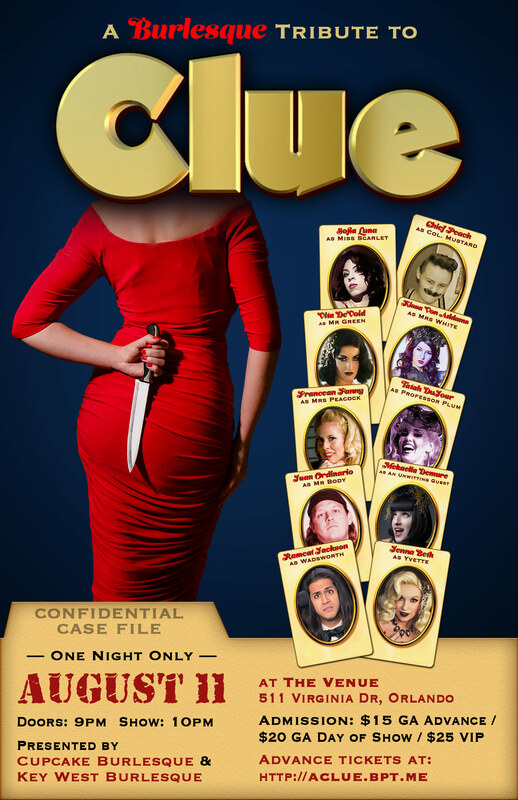 A Burlesque Tribute to Clue! Next Friday, it’s #SLAY or be slain, as Cupcake Burlesque & Key West Burlesque team up to bring you their reimagined tribute to CLUE! Join us for an audience-interactive evening that will tantalize, tease, and keep you guessing… Featuring an ensemble cast from all corners of the Sunshine State! One Night Only at The Venue, 511 Virginia Dr, Orlando on August 11th. Tickets are already on sale, and going quickly. Click the link below to grab your general admission or VIP tickets at a discounted rate today! Florida Day of the Dead Celebration, Tonight! Florida’s Day of the Dead celebration is here! And Cupcake Burlesque is excited to show you their creepy side once again, as we perform tonight on the Boneyard Bandstand (at approximately 10pm). Here is a little teaser of what you can expect to see! Join us for this festive cultural event! Need a little more Cupcake in your life?? Follow us here! Find us, add us, say hi!